Water is a precious resource and anything that can help us save water is a good product. The Nebia shower system is a unique kind of shower system that uses H2Micro technology to atomize water into millions of droplets. This increases the amount of water that comes into contact with your skin when you take a shower by 10 times and reduces the amount of water you would use for a shower by about 70 per cent. 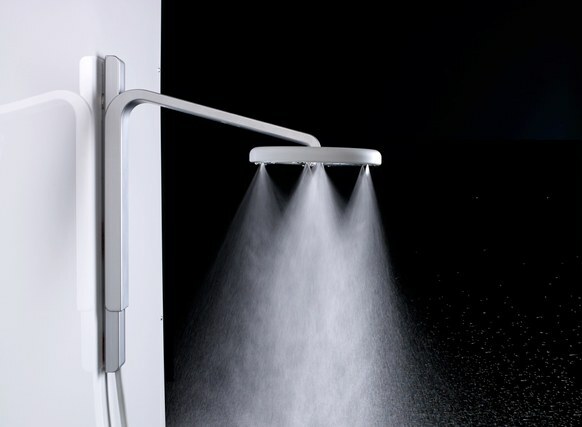 The product was developed by a team of engineers and thermofluid experts who spent five years carefully studying every aspect of a commonplace daily experience to reimagine the showerhead and change the nozzle design. They came up with what is being billed as the “perfect” shower system which helps save water significantly as an added bonus. Every aspect of the system has been finetuned to provide the best combination of efficiency and comfort. The shower system is easy to install and comprises a 25-inch adjustable sliding bracket, 45-degree tilting shower head, and a removable hand-wand. Installation does not call for any drilling or tile work and can be carried out in a few minutes. Having a thoroughly cleansing shower no longer means wasting loads of water.